Close to $4,000 out of the target of $20,000 has been raised so far from a crowdfunding campaign for a four-year-old girl who fell four storeys from a flat in Tampines last Friday evening (6 April). 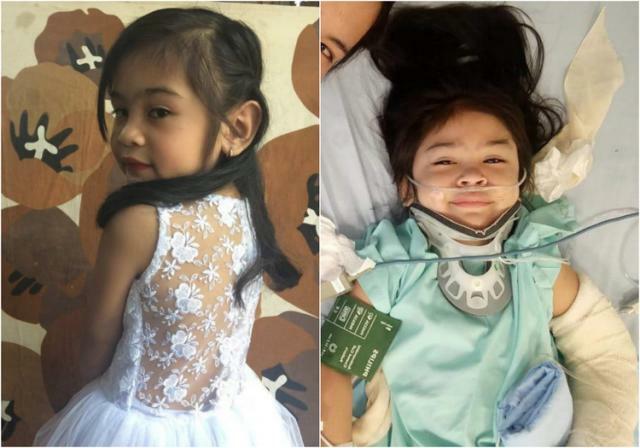 The campaign, which was set up by an Aaron Isidro on YouCaring.com to cover the girl’s medical expenses, has been shared 7,000 times on Facebook as of 6.30pm on Wednesday. According to a description of the campaign, the girl was visiting her mother in Singapore, where she is currently working, when the incident occurred.